Instead of competing to distance themselves from big business our political leaders should explain to the people of India why a company that produced 40 per cent of our copper was forcibly closed by the Tamil Nadu government. Never did I think I would one day defend Vijay Mallya. We have a bad history. He left me stranded in the wilds of rural Karnataka once with an injured cameraman to take care of. Ajmal Jami’s arm broke because he was filming Mallya in his chopper when it crashed because of bad weather. 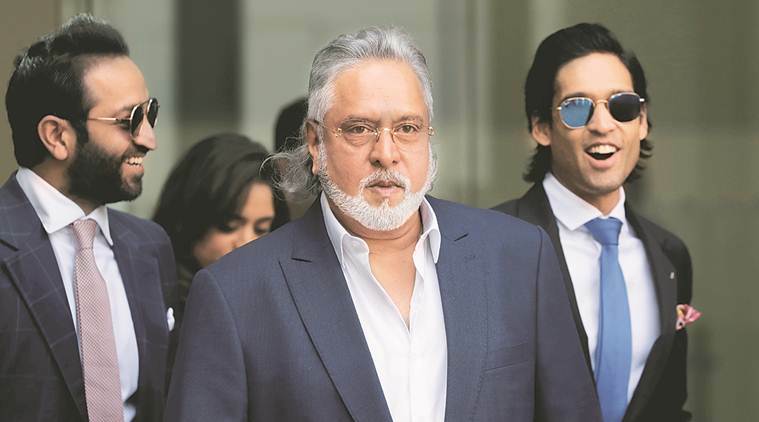 Immediately after the crash, Mallya took off in a Mercedes van followed by a cavalcade of expensive SUVs deployed in his campaign to enter the Lok Sabha. The cavalcade moved fast so it took me a while to catch up with the Mercedes van. In it I found Mallya recovering from the crash by knocking back a glass of vodka. His friend and fellow traveller Sanjay Khan sat opposite him. And next to him was his fawning secretary. When I asked where Jami was, she said, ‘Oh his arm broke in the crash so they’ve taken him to a hospital.’ Had Mallya been a real politician he would have been with Jami in that dump in Bagalkot that passed for a hospital. But, so limited was his sense of public service that he could not have cared less where they took Jami. I found him propped up on a grimy bed in a dingy room. The doctors tending to him admitted they could do no more than bandage his arm. They suggested that I take him as soon as possible to Bangalore. The only way to get there was by road. So I rang Mallya’s secretary to ask if she could let us drive to Bangalore in the Pajero that brought the NDTV crew and camera equipment. She said curtly, ‘Sorry I can’t spare the Pajero. You can take a taxi.’ The only one available was a rickety SUV that lurched over every bump on the broken road on which we travelled for four hours before we got to the highway. A friend had sent a car from Bangalore with pillows and blankets and food so Jami’s agony was somewhat lessened but it took us 12 hours to get to Bangalore. If so many years later it still makes me angry when I remember that journey you can see I am no fan of Mallya. Yet, I find myself forced to defend him because the one thing he is not is a criminal. This is what the Congress president called him last week even as the Finance Minister tried desperately to deny having met him before he fled to London. Why should he not have met him? Mallya was a businessman who lost money on an airline that failed. Not a criminal. My inquiries reveal that he was negotiating with the banks to pay them back. But, because the government wanted to make an example of him for political purposes he was left with two choices: jail or London. Treating businessmen as criminals is an old Indian practice that optimists like me hoped would change under Narendra Modi. But, he seems to have forgotten that were it not for the unrelenting enterprise of Indian businessmen India may have ended up in history’s garbage bin like the Soviet Union. Or bankrupt and hopeless like that vaunted ‘socialist’ paradise Venezuela. Despite the economic jackboot of Nehruvian socialism our best companies, airlines, airports, hospitals, schools, colleges and power facilities are in the private sector. Before Modi became Prime Minister he seemed to know this, but then came the ‘suit-boot’ jibe and he returned to statism and the Nehruvian socialist path. Sad for India and actually sad for him because it is only the private sector that can create the jobs young Indians so badly need. And, only the taxes paid by the private sector that enable the vast and wondrous welfare schemes that political leaders bank on to win elections. Instead of competing to distance themselves from big business our political leaders should explain to the people of India why a company that produced 40 per cent of our copper was forcibly closed by the Tamil Nadu government. So now when we have a hefty fuel bill to pay we are forced to pay a hefty copper bill as well. The atmosphere for doing business has worsened in the past four years, dear Mr Modi, not improved. This is because like in those bad old days of yore, businessmen are being treated as criminals. In those bad old days, the only dream young Indians could dream, whether they were rich or poor, illiterate or highly educated, was to land a government job. If two crore applications came for 90,000 railway jobs as happened some weeks ago, then we could be returning to those bad old days. The way to change this grim situation is by exalting the private sector, not treating it as a pariah. Mallya is many bad things but he is not a criminal.